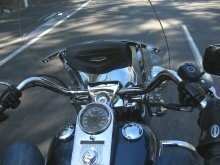 My 2009 Harley-Davidson® ROAD KING® (NRMA Review) purchased in July '09 replaces my first Harley-Davidson, a 1998 Road King Classic, purchased in Nov 2008. 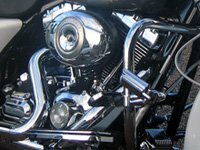 My '98 Road King was a low risk way to see if if a Harley-Davidson motorcycle suited me and also to determine if owning another bike, Harley-Davidson or not, after such a long break was a dream or a need. 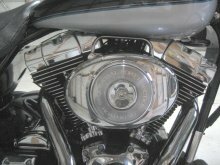 After putting over 7,000k's on the old Road King in 8 months the justification to update to a new Harley-Davidson was easy. 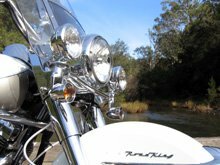 My Harley-Davidson Australia site will now be a personal record of my Harley-Davidson Road King ownership, experiences, the rides, costs and thoughts so as I get older I won't have to remember where I've been.